The review highlights which apps weigh ACR/EULAR treatment guidelines and which include DAS28, among other important features. Researchers rank the apps using the Mobile Application Rating Scale (MARS). 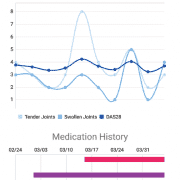 A scientific review of mobile apps for tracking rheumatoid arthritis disease activity finds that most apps are either simple calculators for physicians to measure disease activity or tools for patients to track symptoms, most of which do not uniformly collect data using validated instruments or composite disease activity measures. cliexa staff consists of executive healthcare professionals, physicians, scientists and technologists. cliexa’s first mobile platform, cliexa-RA for Rheumatoid Arthritis has been released to Apple Store in January 2016 and since then, cliexa has developed 3 disease tracking applications, both in iOS and Android platform for Rheumatoid Arthritis (cliexa-RA), Inflammatory Bowel Diseases (cliexa-IBD) and Chronic Obstructive Pulmonary Disease (cliexa-OPD). In November 2016, cliexa has partnered with nation’s biggest payor and provider to run a clinical study with cliexa-RA and raised more than $500K. 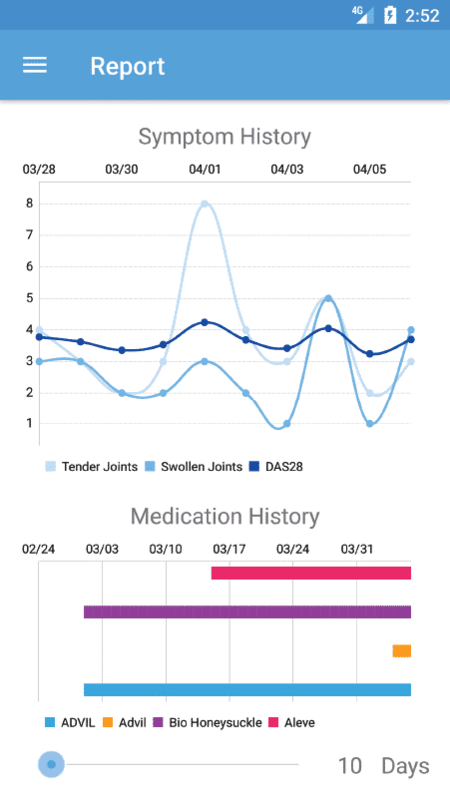 cliexa platform is a SaaS model offered to end users, clinics, payors and pharma companies for tracking chronic disease symptoms and analytics.